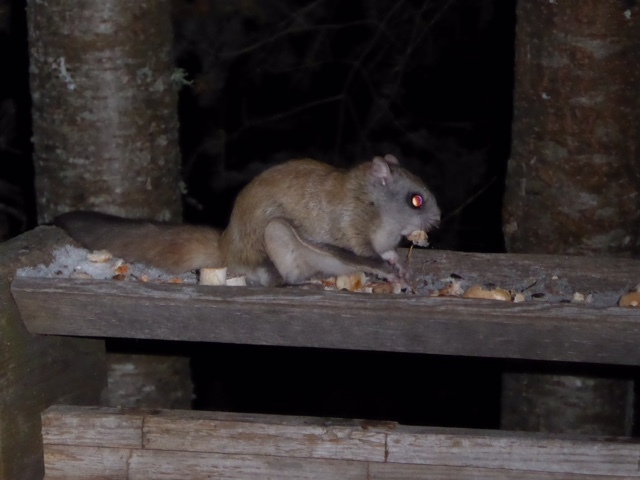 Sharon and David, during their November stay in Chalet #10, had a visit from the Flying Squirrel. The Flying Squirrel is spotted quite often by guests staying in the Chalets. Very Busy on the River!! Wow!! We can't wait till next time! Everything was Amazing Thanks! P.S. The little touches were great!